Editor’s note: Weber State recap by Colter Nuanez. Southern Utah recap by Andrew Houghton. 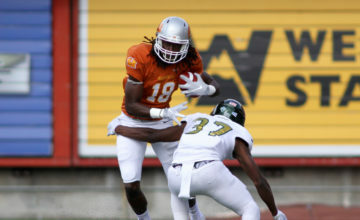 BOISE, Idaho — Barrett Peery’s Portland State Vikings make a living off speeding up opponents and creating chaos with their pedal to the metal style. 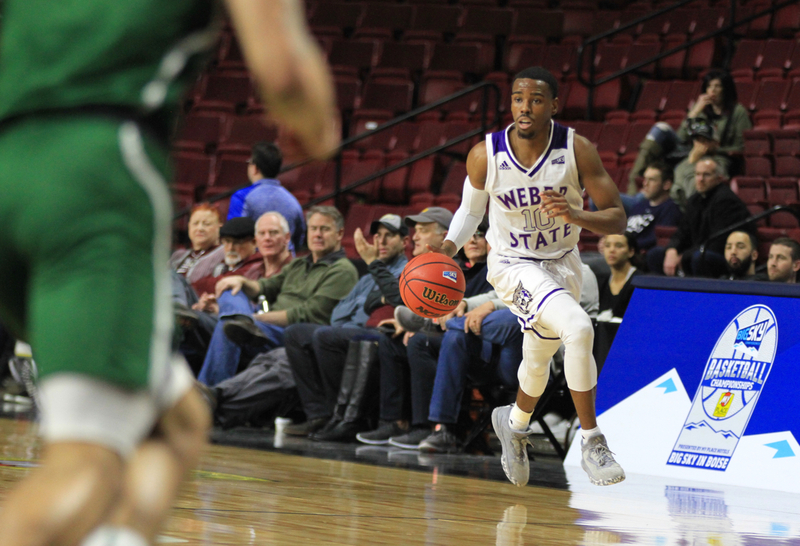 Because of the elite speed and quickness of guard Jerrick Harding, Randy Rahe’s Weber State Wildcats have committed to playing as fast as any team in the Big Sky Conference. On Thursday in the second quarterfinal of the day, something had to give. Harding and fellow junior guard Cody John never stopped pushing the pace even with Portland State’s frantic style gobbling up 23 offensive rebounds and not allowing the Wildcats to run their half-court sets. Weber State opened up the second half on a 22-4 run to turn a halftime tie into an 18-point lead with 11 minutes to play. PSU never stopped coming in a two and a half hour game filled with physical, sometimes sloppy play featuring 51 foul calls. Harding scored 23 points, John added 17, five total Wildcats scored in double figures and the tournament’s No. 4 seed moves into Friday’s semifinals. The Wildcats will take on No. 1 Montana at 5:30 p.m. at CenturyLink Arena. 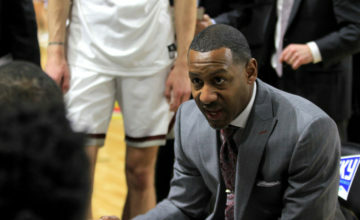 “When you play a team like that, they play such a different style than anybody in our league with the full-court press, the pressure, they basically make you abandoned your system and you have to go make plays,” WSU 13-year head coach Randy Rahe said. “You have to go make plays, you have to be strong with the ball and I thought our guys did that. Although the Wildcats entered the quarterfinal matchup as the higher seed, the first-ever 4-5 game between two teams receiving first-round byes featured two teams with different trajectories over the last month. 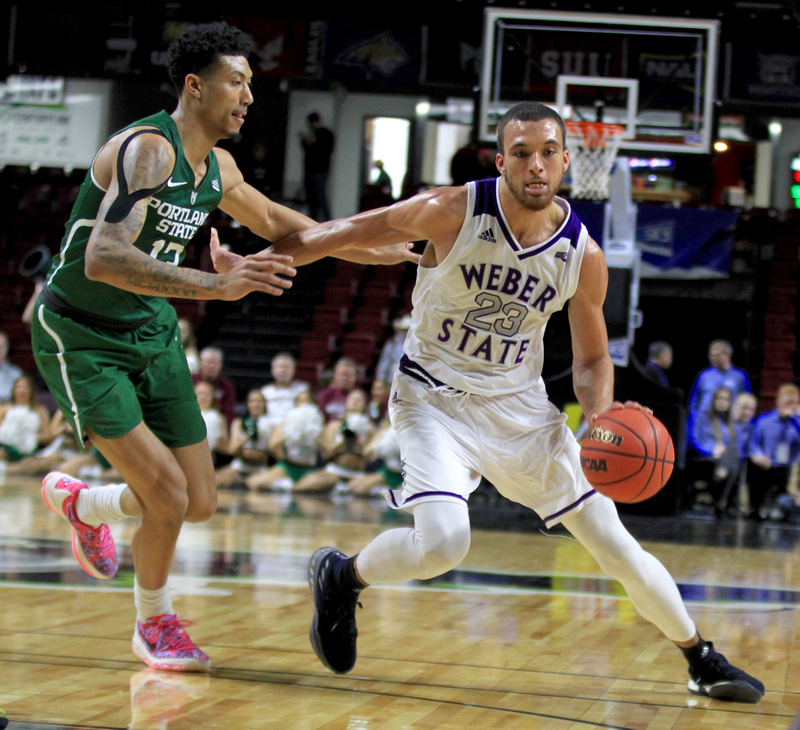 Weber State raced to a 7-1 start in conference play only to lose eight of 12 down the stretch. Injuries to Harding, senior all-league center Zach Braxton and reserve guard Doc Nelson left the Wildcats short-handed. 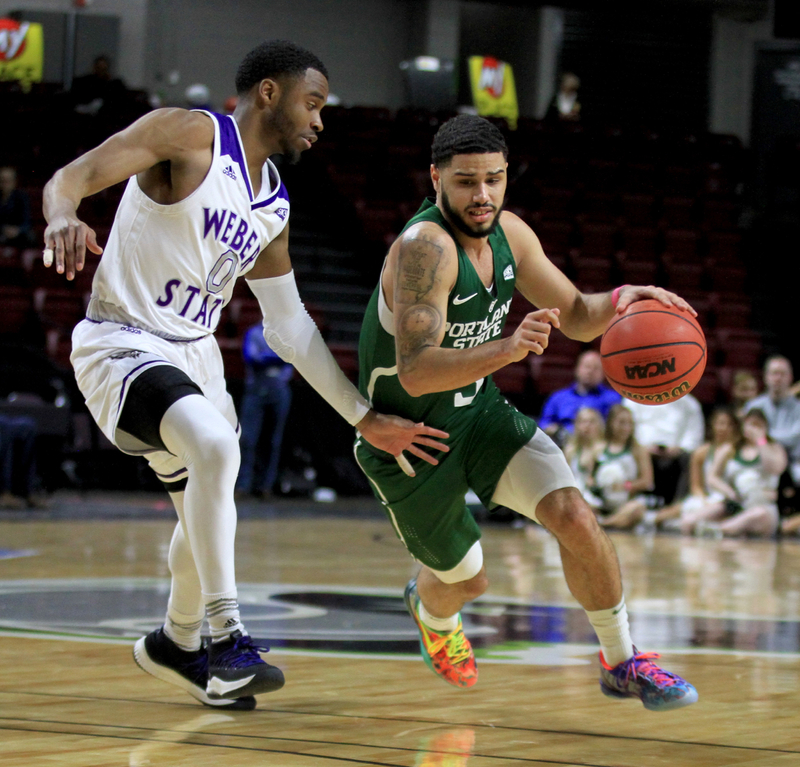 Portland State won seven of its final eight, including sweeping Montana and Montana State in Portland the final weekend of the season to earn its first first-round bye under Peery. The only loss during that stretch came on a buzzer-beater at No. 3 Eastern Washington. In two regular-season matchups, PSU fell 95-88 in overtime before winning 76-75 in Ogden over the Wildcats. The Vikings swept the Griz, split with Eastern Washington, Weber and No. 6 Montana State. 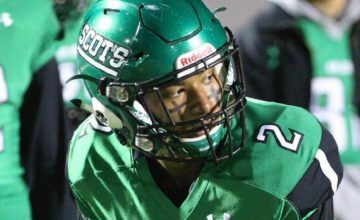 “I’ll be honest with you, you can’t prepare for them because our scout team doesn’t look like them,” Rahe said. “We’ve played them a couple of times so we had a good feel for what they were going to do and how fast they were going to do it. Anytime you play them, there’s and adjustment period to start the game to get used to the speed and aggressiveness. I thought in the second half, we adjusted well against it. The Vikings built a 52-34 advantage on the glass thanks in part to those 23 offensive boards. Four different PSU players snared at least three offensive rebounds while Robert McCoy grabbed a game-high 12 rebounds overall. The statistical advantage was all the more impressive given Weber’s talented front line featuring Braxton, fellow all-conference power forward Brekkott Chapman and reserve Michal Kozak, who led WSU with 10 rebounds. But Weber State committed just 11 turnovers against PSU’s high-pressure full-court press. And the Vikings couldn’t buy a bucket, shooting 34.3 percent from the floor, including 4-of-23 from beyond the arc. PSU made just 10-of-27 shots after halftime. All-Big Sky guard Holland Woods led PSU with 20 points, but went 6-of-20 from the floor and 1-of-7 from deep. Weber State’s victory snaps a skid that saw the team lose four of its final five coming into the tournament. Now the Wildcats get another shot at Montana, a team that built a pair of 20-point first-half leads in games that finished with final scores of 75-68 in Missoula and 83-80 in Ogden. During Rahe’s previous 12 seasons, he’s led Weber State to the NCAA Tournament three times, most recently in 2016. 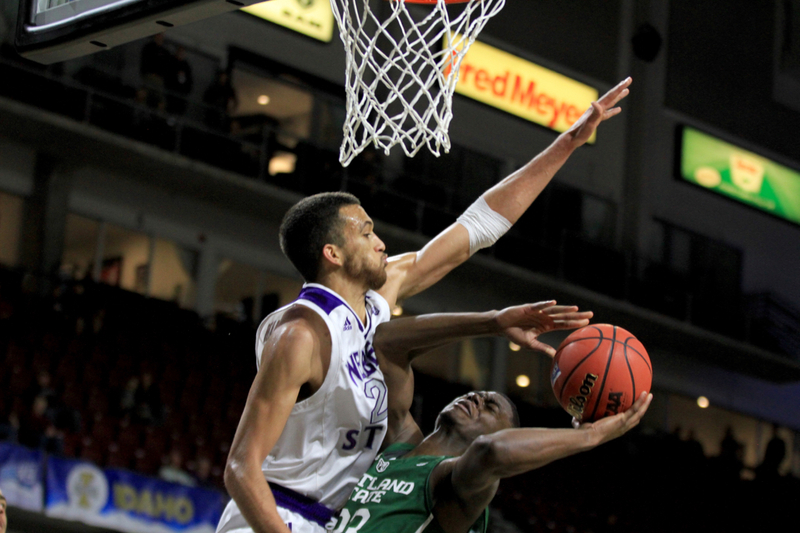 But Rahe has struggled with the Grizzlies in the Big Sky Tournament. Harding, for one, wants to rewrite that narrative. 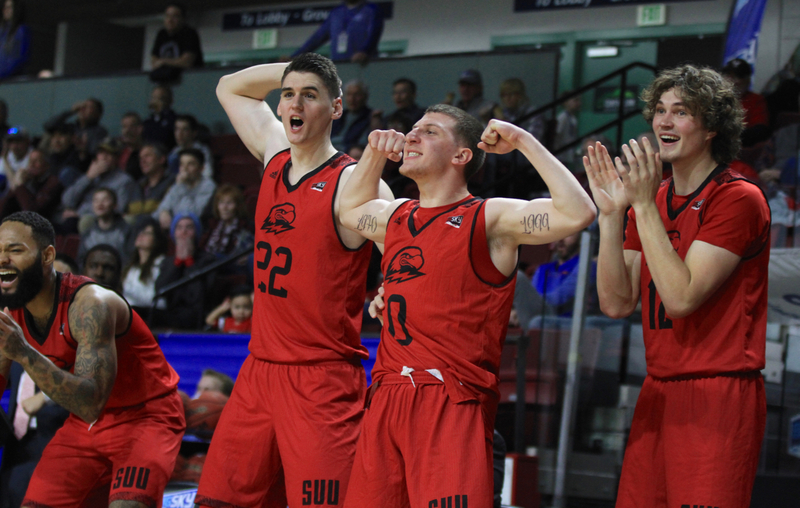 A year after blowing up the Big Sky tournament bracket, the trash-talking, sweet-shooting Southern Utah Thunderbirds did it again, burying Boise in a sea of red and knocking out No. 2 seed Northern Colorado in the quarterfinals with an 83-64 win Thursday. In their all-red uniforms, the No. 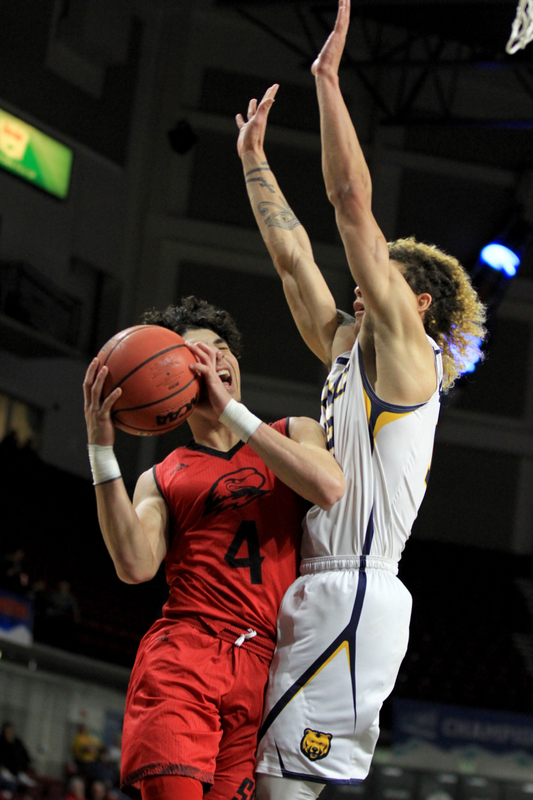 7 T-Birds frustrated UNC star Jordan Davis and spread the ball around on offense to make it to the Big Sky semifinals for the second year in a row. As the No. 10 seed last year, Simon’s team took the exact same path, upsetting the No. 2 seed — in that case, Idaho — in the quarterfinals, a game after taking out Idaho State in the first round, just like this season. Cameron Oluyitan had 18 points for Southern Utah. Jacob Calloway added 17, Dre Marin had 15 and Brandon Better had 14 in just 21 minutes. An 18-3 run out of halftime stretched for six-and-a-half minutes and pushed Southern Utah’s nine-point halftime lead to 24, and the Thunderbirds weren’t threatened from there. Northern Colorado got the lead under 15 points just twice, with both instances coming with under three minutes left in the game. Davis, the second-leading scorer in Big Sky Conference history, made a 3 to start the game but struggled from there. Just seven days after scoring 28 against Southern Utah in the penultimate game of the regular season, he finished with 15 points on just 12 shots, well below his season average of 17 field goal attempts per game. The Thunderbirds, meanwhile, had no problems on offense, continuing their hot shooting. A day after going 11-for-15 from 3-point range in a win over Idaho State, they shot 11-for-21 against the Bears, and are shooting over 60 percent from deep in the tournament. The crazy shooting streak was best exemplified by Better, who, on one possession, caught the ball in the left corner, double-clutched while in the air to avoid a shot contest, and still splashed the shot. Southern Utah will face the winner of the Montana State-Eastern Washington game in the semifinals. Northern Colorado, with a record of 21-11, might still receive an invitation to a lower-tier postseason tournament. The Bears won the CBI last year, becoming the first Big Sky team ever to win a postseason tournament.